Some items are definitely an acquired taste and there is no doubt that the flavor of Mountain Dew soda’s falls within that classification. Taste is personal, but ignoring the effect of ingredients on the body is universal to anybody. Recently, a man named Ronald Ball from Wisconsin filed a $50,000 lawsuit against PepsiCo from his experience of finding a rat in his Mountain Dew soda. He claims that he sent the dead mouse he found in the soda to PepsiCo as evidence, but he says the company destroyed it. Regardless of the truth, drinking a soda like Mountain Dew screams ill-health issues. Even more fanatical than the man’s claim is that the PepsiCo is speaking publicly that it is impossible for the man to have found a mouse in his Mountain Dew soda because the acid in the drink would have transformed the mouse into a “jelly-like” substance. That is a ramshackle defense, however, that notwithstanding, the regular ingredients of Mountain Dew actually has the ability to convert flesh to jelly, which is primarily done by the element brominated vegetable oil (BVO), a chemical banned in Europe. PepsiCo needs it to stabilize the combining of two non-blendable substances. It serves as an emulsifier keeping fat-soluble citrus flavorings suspended in the drink, giving it that cloudy look. Frequent ingestion of BVO has given some people skin lesions diagnosed as bromoderma. Excessive amounts of BVO have been linked to memory loss, tremors, fatigue, loss of muscle coordination, and headaches. The complete ingredient list of Mountain Dew varies based on the country of sales, where its USA distributed soda includes; carbonated water, high-fructose corn syrup, concentrated orange juice, citric acid, natural flavors, sodium benzoate, caffeine, sodium citrate, erythorbic acid, gum arabic, calcium disodium EDTA, BVO, and yellow 5. 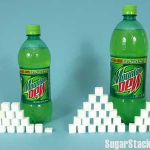 A 12-fluid ounce container of Mountain Dew label reveals the percentage of daily nutritional values as; Total Fat 0%, Saturated Fat 0%, Monounsaturated Fat 0g, Polyunsaturated Fat 0g, Cholesterol 0%, Sodium 70mg 3%, Potassium 0%, Total Carbohydrate 46g 15%, Dietary Fiber 0%, Sugars 46g, and Protein 0%. Just in this one 12-fl oz. drink contains 11½ teaspoons of processed sugar. That may not seem like a lot, but imagine drinking one of these everyday for a year, where you would have ingested 37 pounds of processed sugar. 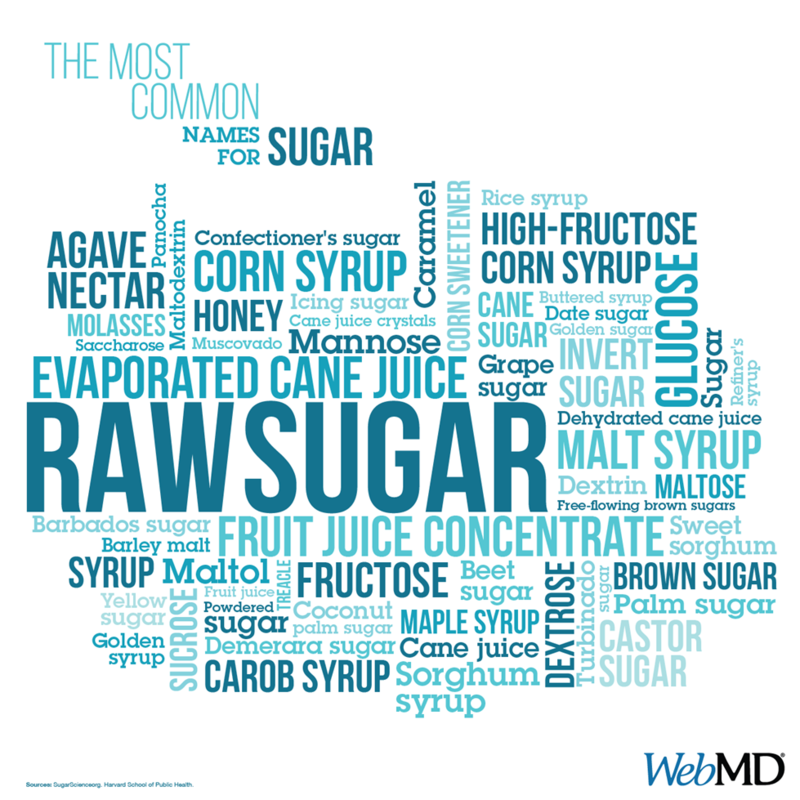 Remember, the American Heart Association recommends not-to-exceed19 pounds of processed sugar for the whole year. Our immune system is considerably weakened from consuming high levels of processed sugar. The ingestion of processed sugar begins to inhibit the immune system in less than 30-minutes and continues for 6 to 36 hours. Most believe their immune system only comes into play for colds and flu but in fact, it will cause illness from more than 75 chronic health conditions, including heart disease and cancers.